Gold Star Powders Pvt. Ltd.
Goldstar Powders started in India in the year 2001 with a core objective of manufacturing Jewellery Investment powder which is used in the jewellery Industry. The state of art manufacturing facility is situated in Chennai, India. Goldstar India is a part of Goodwin Refractory Services(GRS) owned by Goodwin PLC, a Premium listed Company on London Stock Exchange, who are the pioneers in this business and have 5 factories across the Globe. Goldstar India is accredited to ISO 9001: 2008 quality systems. Goldstar India provides complete solution for casting jewellery. We manufacture Jewellery Investment powders, Waxes and also trade in Silicone Rubbers, Liquid Silicone Rubbers, Mold Rubbers, Jewellery Machineries and Consumables. 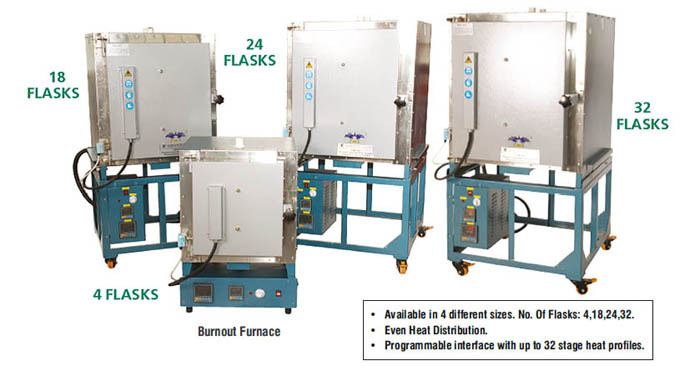 The Goldstar Furnaces are both easy to operate and simple to control. They are equipped with a manual and automatic operation mode enabling paramters to be adjusted according to requirements. Suitable for wax burnout process and investment firing. An independent control box ensures longer service intervals and easy convenient movement /installation. 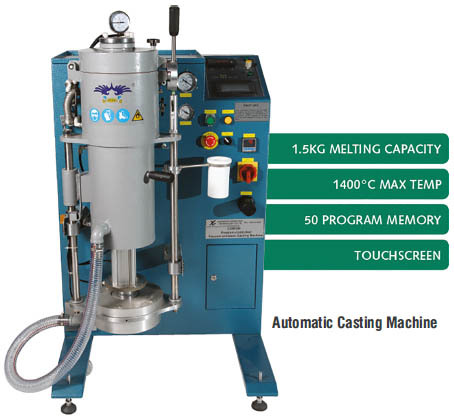 The Automatic Casting Machine is a versatile , multipurpose, programmable vaccum casting machine. It is suitable for a wide variety of metals and comes complete with the ability to independently vaccum both chambers. Over pressure can be appled with inert gas to the melting chamber to help aid the casting process. Over upto 50 individual casting programs can be saved allowing unique settings to be recalled quickly to aid efficiency and ensure ease of use. The products are developed & formulated to cope with various casting conditions. All our products and machineries are user friendly .We provide impeccable after sales service & technical support.